Learn Something New Everyday with Dani X: Today I learned about human feet! 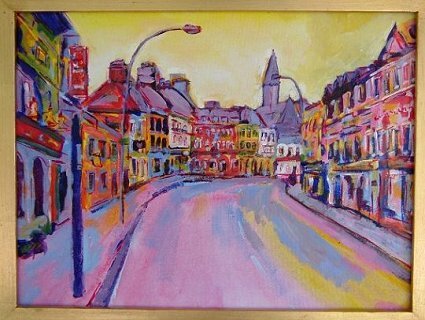 Just to let you know that the above painting of Killarney is by me, Liam Daly (AKA eolai) and not Christy Brown. You can see the painting on several of my websites e.g. liamdaly.com, irishkc.com and bicyclistic.com where there are many other paintings in a similar style. Christy's own fine work is quite different and I'm only letting you know not to complain but rather to do justice to Christy's work so you could perhaps put up a painting of his as you intended.